Wedding invitations and birth announcements are often celebrated here with an engraved collectible. 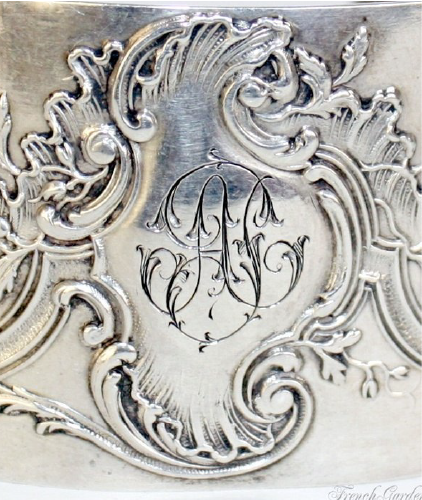 At Beverly Bremer Silver Shop we recommend and exclusively offer hand-engraving (versus machine stamping or engraving). The artistry is un-paralleled and one-of-a-kind. Come visit our shop when our master engraver is working on-site. We sell many items that lend themselves perfectly to personalization including money clips, frames, baby cups, belt buckles, julep cups, belt buckles, trays, trophies and more. Sign up for updates below to be informed by email of the dates when we will be offering in-house engraving.